Once again, the team at Recon Research took the Enterprise Connect show by storm. 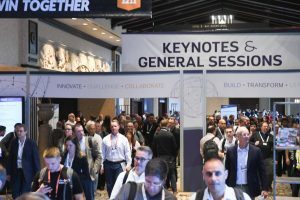 This year’s show offered the slew of technology and partnership announcements we’ve all come to expect, as well as record-breaking attendance and a wealth of strong sessions (including many hosted by members of our team). It also brought a number of key trends and topics impacting the entire enterprise communications industry to the forefront. To gain access to this content, please SIGN IN or SIGN UP.